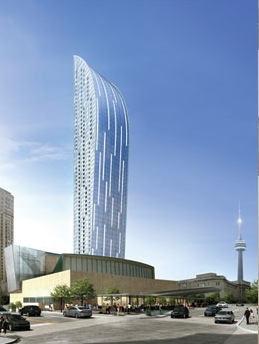 There has been a considerable amount of understandable concern in Toronto recently about glass falling from condominiums and newly constructed buildings. Most sadly this past August, when a woman was hit by falling glass from a building on Bay Street as reported earlier in the summer by the Toronto Star: please click here for a link to the article. Earlier this month reports of more falling glass were in the news: please clink here for a link to the article. Affected developers are taking all steps to remedy and repair the glass on their building. In so doing several are choosing to replace the tempered glass they had used originally with laminated glass. 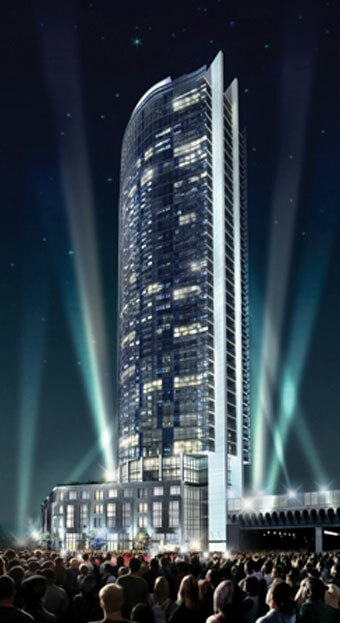 The construction of the L Tower and Backstage condominiums employs laminated glass in all cases. Laminated glass is composed of two pieces of glazing sandwiching a piece of clear plastic. The safety factor of this type of glass is that it stays in place when broken versus tempered glass which break into many smaller pieces. Laminated glass is most commonly used in cars windshields because of its high performance and inherent safety. The use of laminated glass and the highest construction standards will ensure that there are no problmes in the future with “falling glass” from the L Tower at 8 The Esplanade and Backstage at 1 The Esplanade.